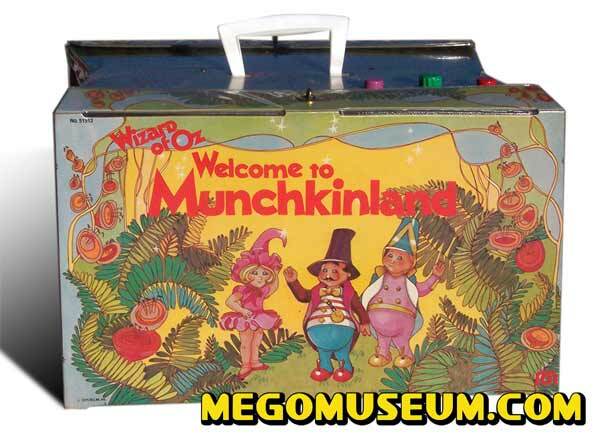 Hands down, The Wizard of Oz Munchkinland is the most movie accurate playset produced in the Mego Wizard of Oz line. 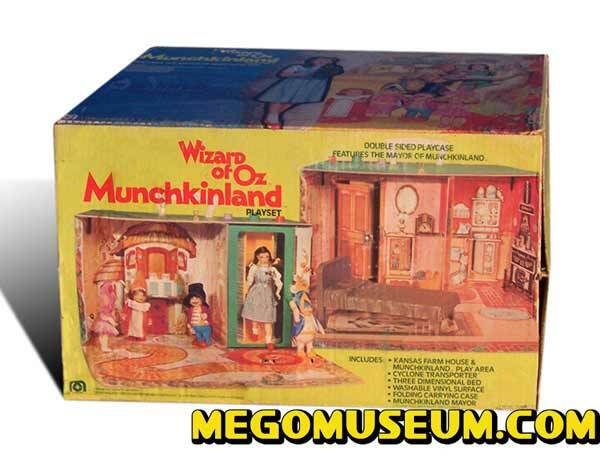 Mego chose to use a green castle (artwork taken from a child’s pop-up book) for the Emerald City and convert a castle originally designed for the Super Knights into the Witch’s Castle. 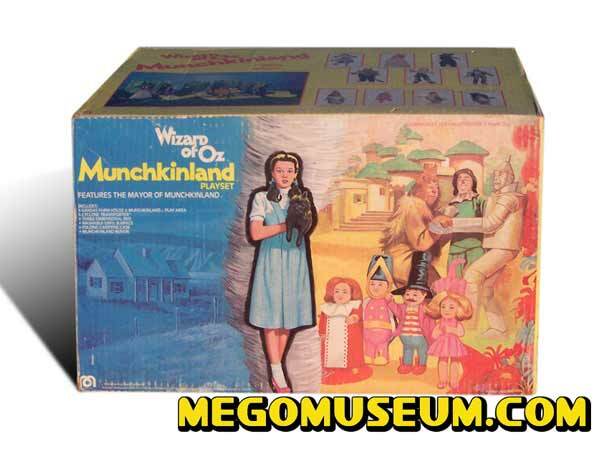 Yet, for some reason, decided to use movie artwork for the Munchkinland playset. 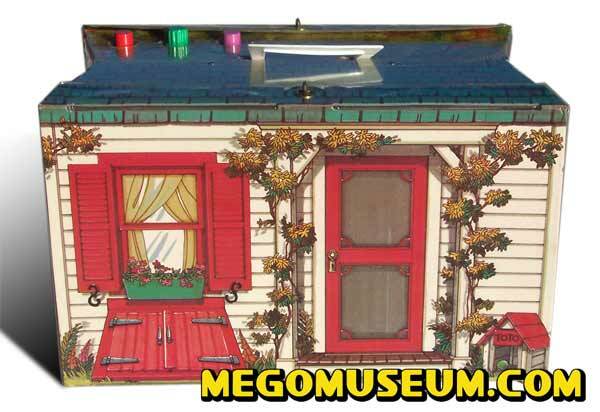 The farmhouse side of the box opens to the inside of Dorothy’s house. And the Munchkinland side opens to reveal the Munchkins’ houses (complete with balcony) and the beginning of the Yellow Brick Road. 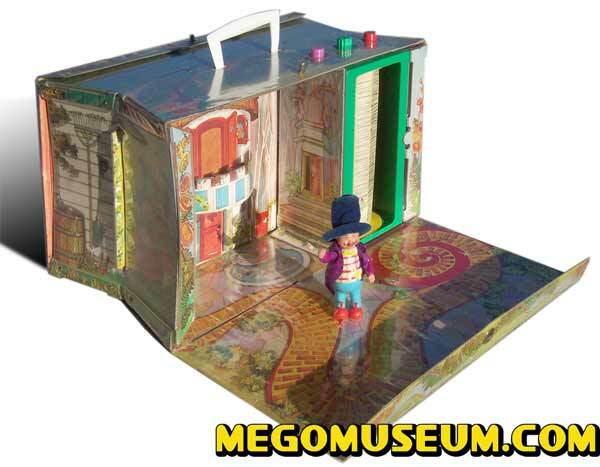 This playset includes the Munchkin Mayor (he was also sold separately) and a plastic bed. Also, the playset uses a “cyclone transporter” (okay, it’s the Star Trek Enterprise’s transporter cast in different colors) to spin Dorothy from Kansas to the Land of Oz. Stickers applied to the transporter unit are supposed to give the impression of a spinning tornado. 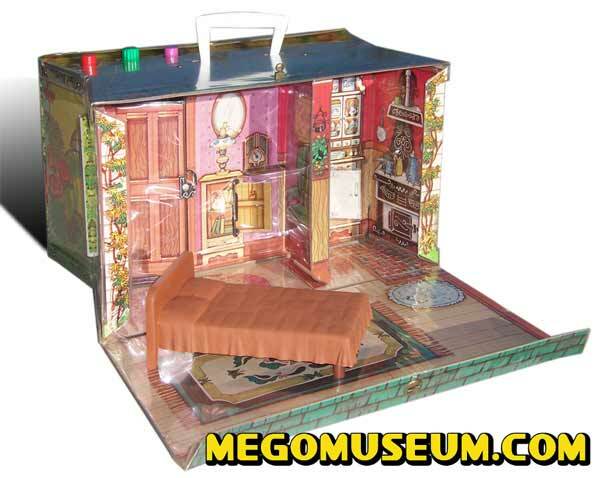 This play set was not a heavily produced item, and therefore, no known variants to it exist. Even though it is somewhat rare, it’s not real popular, so complete boxed playsets can be had on ebay for under $100.